The Royal Wedding: All the details on what Meghan Markle wore! It's official! Meghan Markle and Prince Harry are married and we have all the details on what the beautiful bride wore to wed Princess Harry at their Royal Wedding! Meghan Markle's official title may now be Duchess of Sussex but her wedding dress was fit for a Princess. After much anticipation and speculation over what Meghan would wear on this special day, the beautiful bride made an incredible statement in her grand entrance to walk down the aisle. In an official statement, Kensington Palace shared that "Ms. Meghan Markle’s wedding dress has been designed by the acclaimed British designer, Clare Waight Keller. Ms. Waight Keller last year became the first female Artistic Director at the historic French fashion house Givenchy." Meghan's wedding dress was simple, yet elegantly classic with a bateau neckline, long sleeves, a drop waist. The gown was the perfect choice for the fashion-savvy celebrity's own minimal, sophisticated and clean-lines-filled personal style. 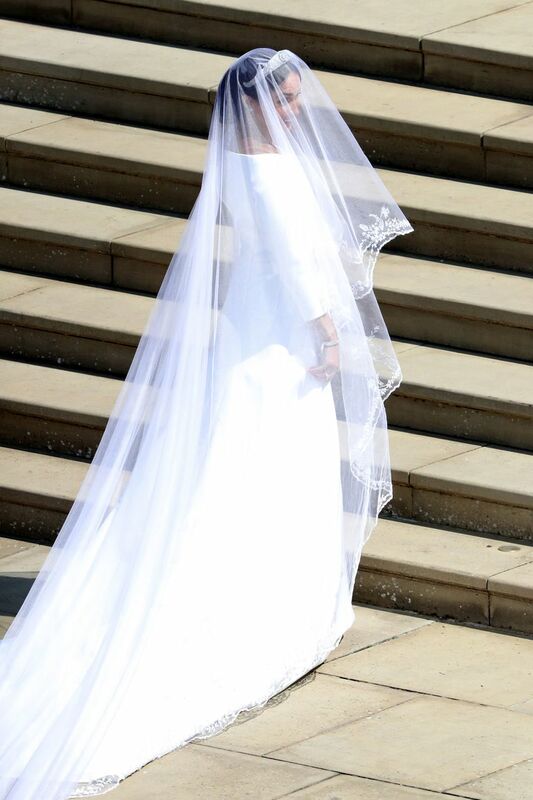 Her incredibly dramatic monarch length veil added to her timeless wedding day look and inspired by Princess Diana's epic train at her wedding in 1981 to Prince Harry's father, Prince Charles. 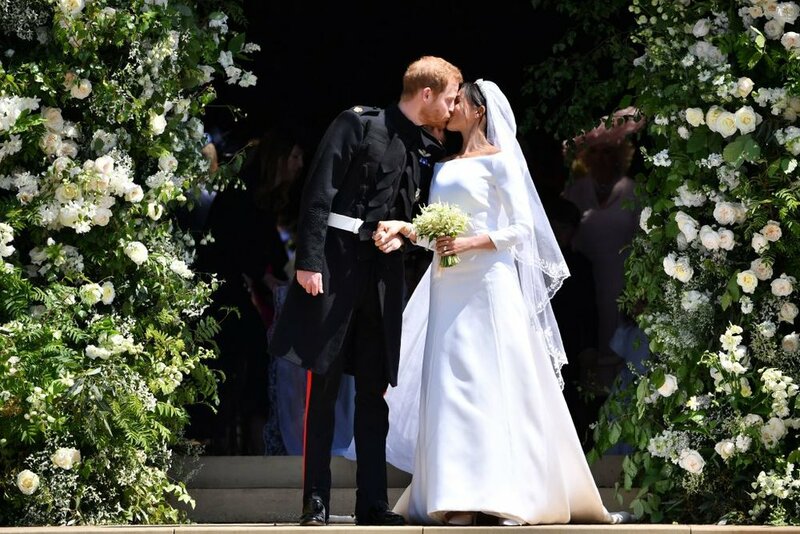 In addition to subtly honoring Princess Diana, she also chose to honor her new home as well as add a few sentimental touches to the veil to truly make it personal. She had Givenchy embroider the trim of the veil and blusher with flowers representing all 53 countries in the British Commonwealth; as well as the Wintersweet (Chimonanthus praecox), which grows in the grounds of Kensington Palace in front of Nottingham Cottage, and the California Poppy (Eschscholzia californica) the State flower from her place of birth. And finally, crops of wheat are delicately embroidered and blended into the flora, to symbolize love and charity. Markle accessorized her veil with Queen Mary’s filigree Tiara, which she borrowed from the Royal Majesty herself. It is likely that she chose it because of the way that it fit and worked with the simplicity of her wedding gown and neckline. The bride wore Givenchy shoes in a refined pointed style made of silk duchess satin and the French Fashion house also designed the six young bridesmaids dresses. Overall, the new Duchess looked incredibly beautiful and blissfully in love with her Prince. We hope they live Happily Ever After.